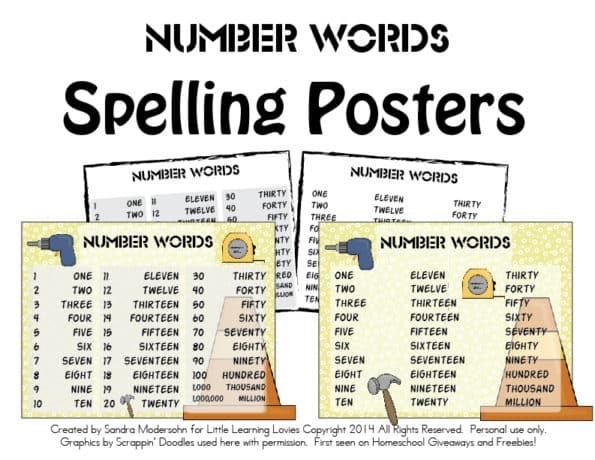 We’ve had a great set of Number Words Spelling Posters available on the Homeschool Giveaways and Freebies site for almost 3 years now. 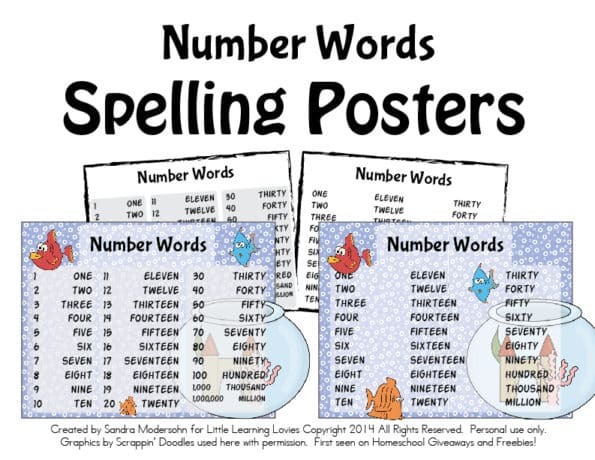 They’ve been wildly popular because it’s such a common need for all kids who are learning to read, write, and spell! 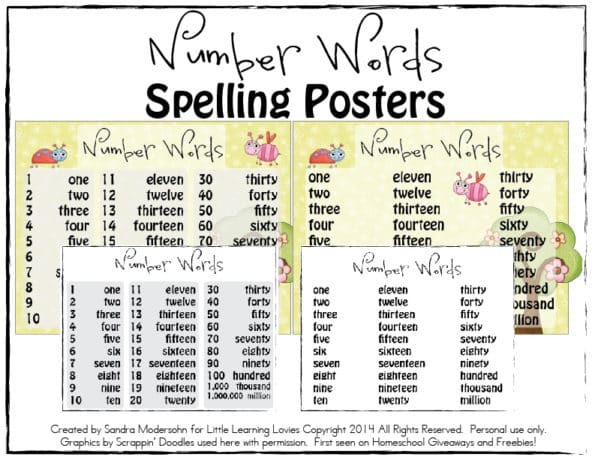 Number words can be tricky. So we created this set (which is free over at HSG). 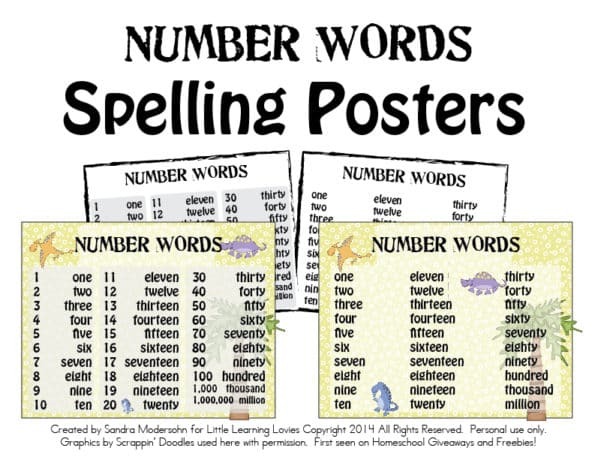 Now we have NEW THEMES of our Printable Number Words Spelling Posters for you! Each set contains 4 different posters, two in black and white and two in full color. One of each shows the numerals next to the number word and one does not. Not everyone loves adorable bugs, though. 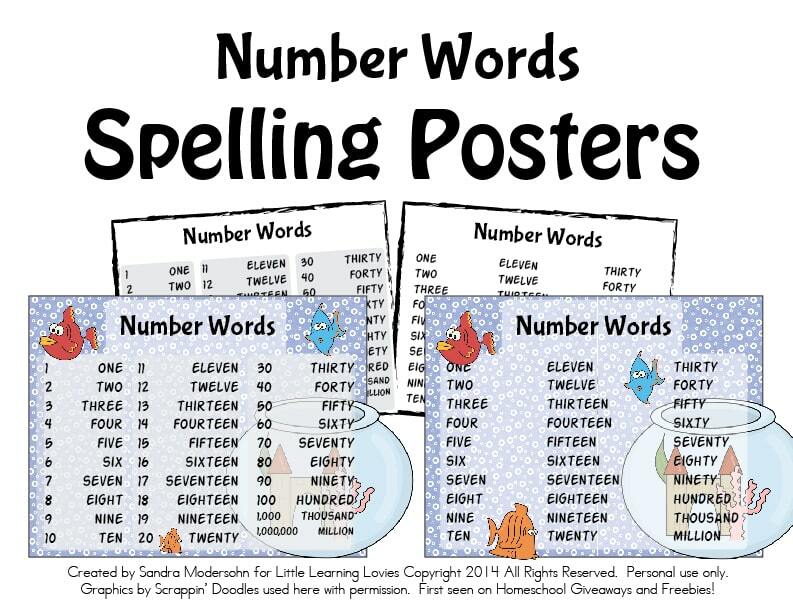 🙂 So we made a few new sets to make it simple for your kids to fall in love with their new number word posters! Which is your favorite? Is there a theme you wish we’d make? Let me know in the comments! Ready to download this for YOUR kids? Just enter your email below to confirm that you’re on our email list (if you’re not, we’ll add you on!) and we’ll give you immediate access to a ZIP file that contains ALL THREE PDFs shown above!